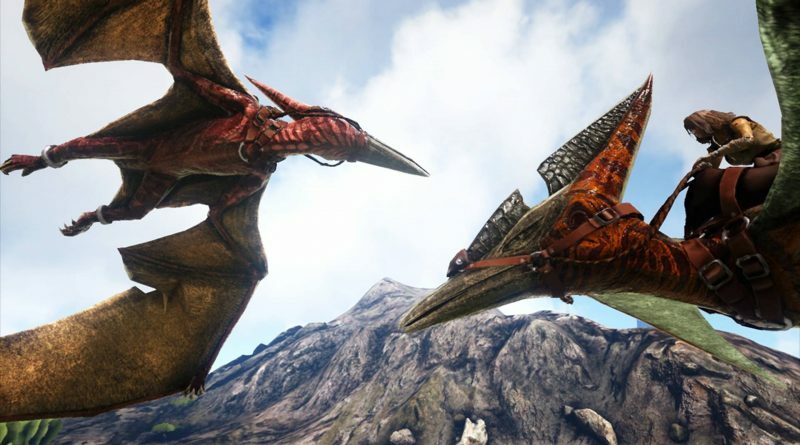 Studio Wildcard announced today that ARK: Survival Evolved is available now worldwide on the Nintendo Switch in the Nintendo eShop and at retail. 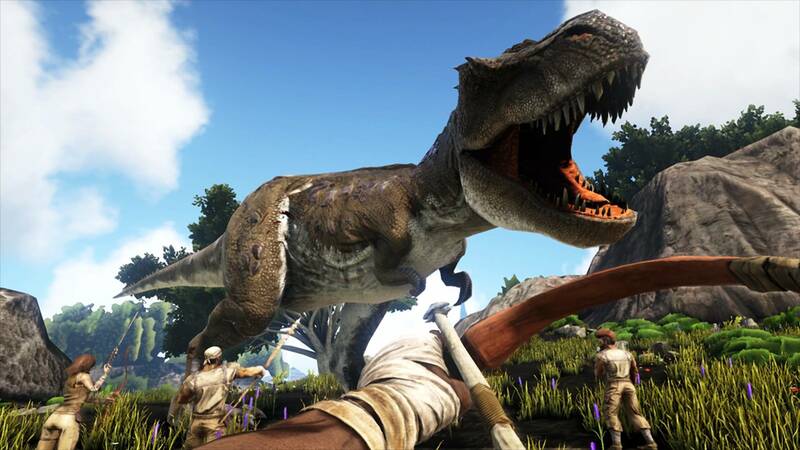 The award-winning dinosaur survival adventure now delivers to Nintendo Switch players the same open-world experience millions already enjoy. ARK players can tame over 80 dinosaurs, conquer enemies, and create enormous structures anywhere – at home and on the go. 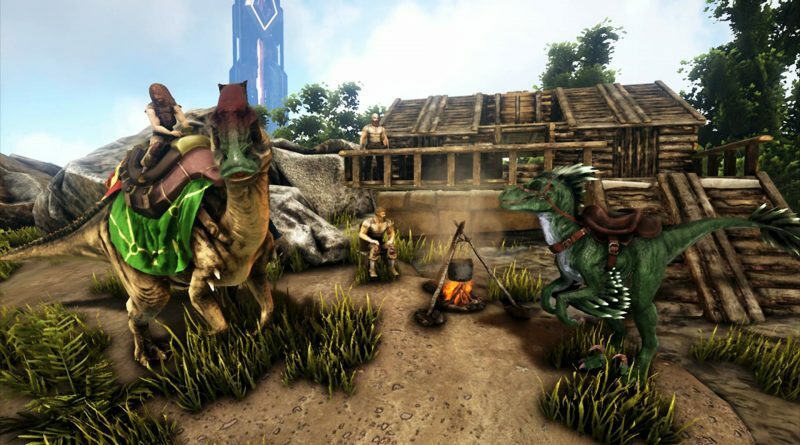 Developed with Abstraction Games, this handheld version of the definitive, open-world dinosaur survival adventure includes the complete content and features of the original game. 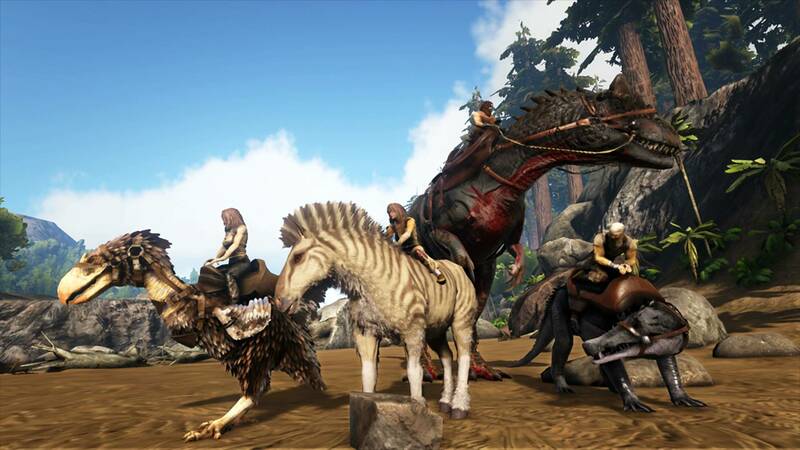 In ARK, players find themselves stranded on a mysterious prehistoric island, where you must explore vast biomes as you begin to hunt, harvest, craft tools, grow crops, and build shelters to survive. 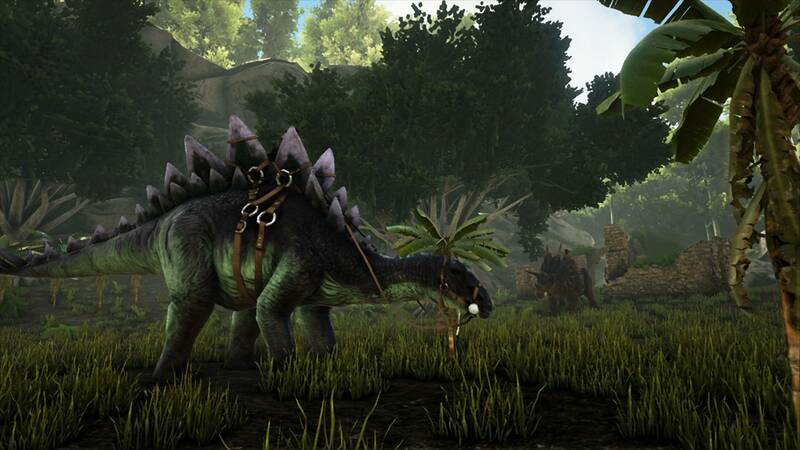 Utilize cunning skills to kill, tame, breed and even ride Dinosaurs and other primitive beasts living on The ARK. Advance your technology, from primitive stone tools to T-Rex mounted laser cannons, as you team up with up to 64 players online or enjoy a solo offline Jurassic experience. Explore the entire ARK Island! 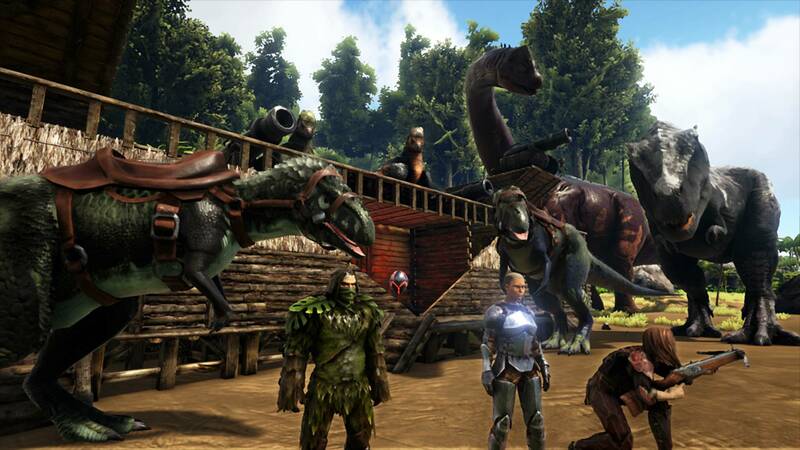 Over 80+ prehistoric and fantasy-inspired creatures and dinosaurs such as the T-Rex, Giganotosaurus, Direwolf, and Yeti. Cut down trees, hunt for meat and scavenge for plants, or start your own garden. Quickly develop these survival skills, as hunger, thirst, basic safety, and protecting yourself from the elements are all part of the game. 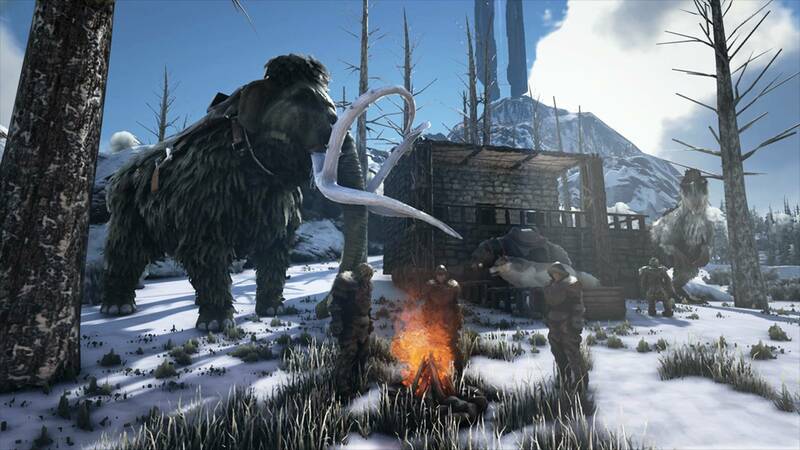 Build small villages or huge towns using a variety of materials, from wood, stone, metal, or more. 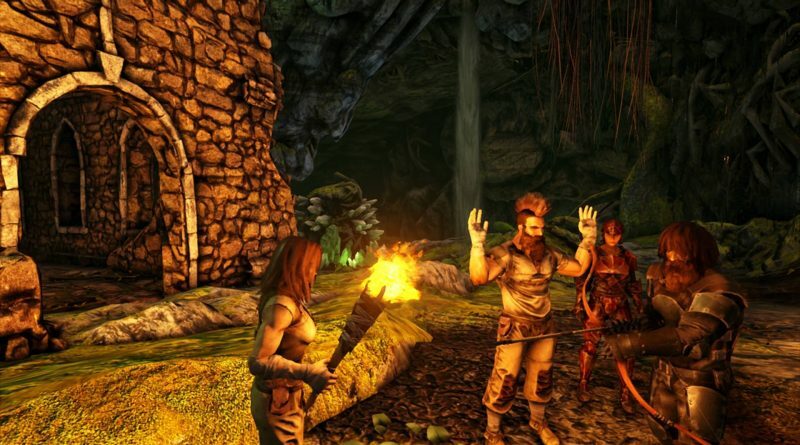 Learn new technologies to expand your outposts from primitive huts all the way through futuristic electrically-powered cities. 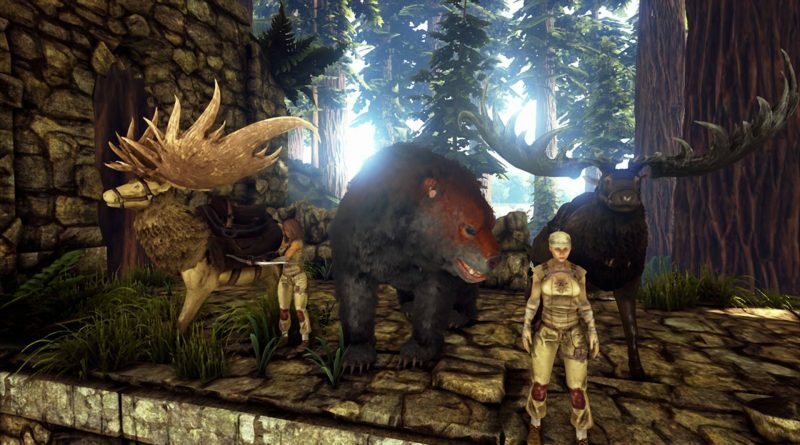 The extensive ARK crafting system allows players to mix and match materials scavenged from around the island, while also modifying the colors, textures, shapes and styles. 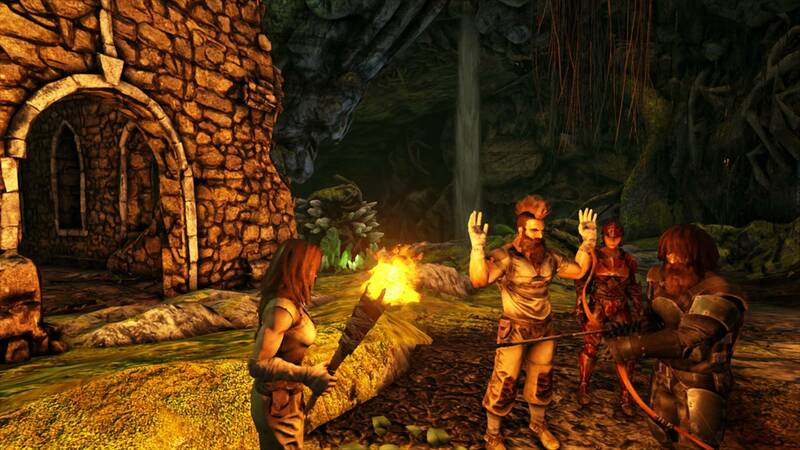 Engage in visceral melee and ranged combat using a massive variety of weaponry, from slingshots, bows, and spears all the way through modern rifles and pistols, to powerful sci-fi energy weapons and jetpacks! Solve the mystery of The ARK as you wander around the massive island, discovering explorers’ notebooks and clues everywhere to piece together the ARK mystery!